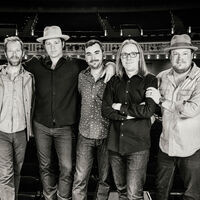 One of the most versatile bands in all of contemporary American music, the Grammy Award-winning Steep Canyon Rangers has spent nearly two decades bending and shaping the bluegrass aesthetic, combining elements of pop, country and folk rock. Among the hardest working bands in any genre (pulling double duty on their own and as sometime collaborators with Steve Martin), this genre-defying sextet has developed a remarkable catalog of original music. With their richly textured, highly spirited sound and exceptional musicianship, the Steep Canyon Rangers are ever-evolving, always moving forward, searching for new music horizons and vistas while creating something original and all their own.